Small Trachten bag with edelweiss decoration. An all-rounder with alpine flair: with its saddlebag design, this Trachten bag by Schuhmacher is an essential accessory for parties and festivals. Thanks to its clutch size, it can be easily taken with you anywhere you go. A magnetic fastener allows you to open and close it quickly and securely, while the inside offers more than enough space for necessities such as a little make-up bag, purse and other valuables. The long shoulder strap can be adjusted to 3 different lengths, meaning that the bag can be worn across the body or casually over the shoulder. 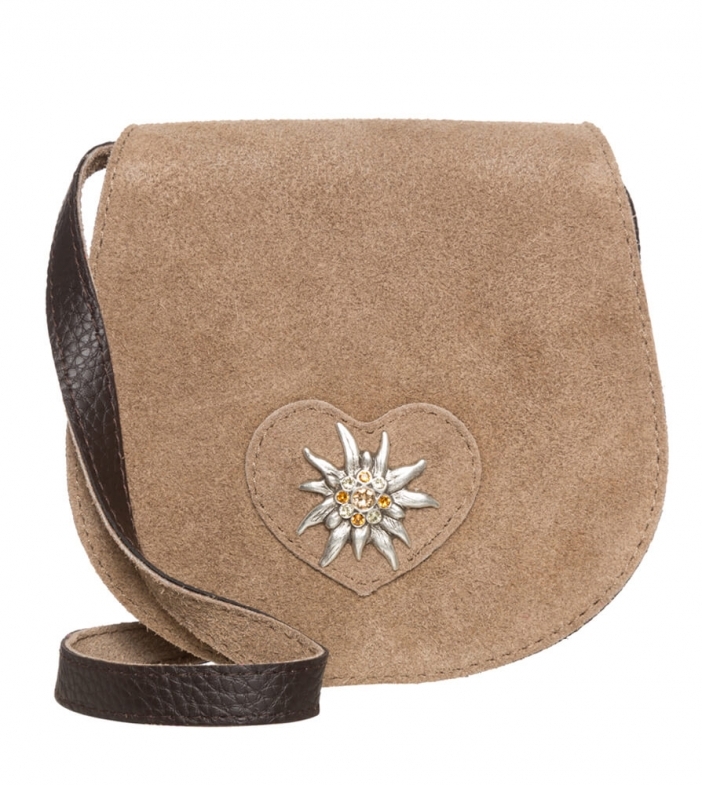 The rustic, sophisticated raw leather in subtle grey-brown lends this bag a vintage charm, while the large, silver-coloured antique-look edelweiss studded with brown and beige crystals offers a helping of glamour to boot. Es ist eine sehr schöne Tasche zum Dirndl meiner Frau. Es war ein tolles Geschenk.